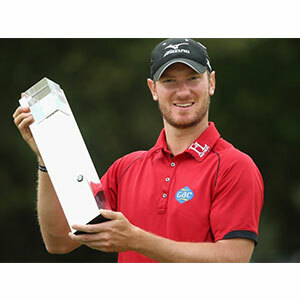 Bristol’s Chris Wood secured the biggest win of his career on Sunday after shooting an impressive 69, despite a late bogey run, to secure the BMW PGA Championship trophy by one shot. Victory on Sunday means Wood will shoot up into the top 25 in the rankings and now into Ryder Cup contention with a big summer of golf ahead. Rikard Karlberg carded a 65 earlier on in the day, which included a hole-in-one, but his efforts came up just short and Wood settled for par on the last to take the crown. Masters champion Danny Willett fell away in the final round, as did the rest of the leading pack, with the 28-year-old finishing on 7-under two shots off Wood at 9-under. What Wood said: “It is the biggest win of my career, I have always wanted to win the tournament and to win with my family here is amazing. “I have worked really hard with my former coach. He has helped me a lot with my scoring and my pitching, it has been a huge factor missing in my game. I have a great team of people helping me now.